New Students who live IN the Malakoff school district and wish to enroll for the 2017-2018 school year, will need to complete the Enrollment Packet in English OR the Enrollment Packet in Spanish. 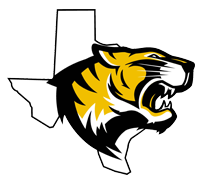 New Students who live OUTSIDE the Malakoff school district and wish to enroll for the 2017-2018 school year, will first need to complete the Application for Transfer. Bring the completed Application for Transfer to the High School Office. Once received, the Principal will evaluate the application and contact you to let you know if the application has been approved or denied. The evaluation process may take up to a week to complete. If your application is approved, then follow the enrollment process above, starting with filling out an enrollment packet. Before students can pick up their High School schedules, parents need to fill out their student’s registration paperwork and pay any book fees that may be due. Registration paperwork and notices of fees can be picked up at the High School starting Thursday, August 17, 2017 at the High School.